Wayne Shorter made a major impact on the Jazz world during 1963-64. He left Art Blakey's Jazz Messengers to become a member of the Miles Davis Quintet, and he recorded Night Dreamer and Juju as a leader for Blue Note. 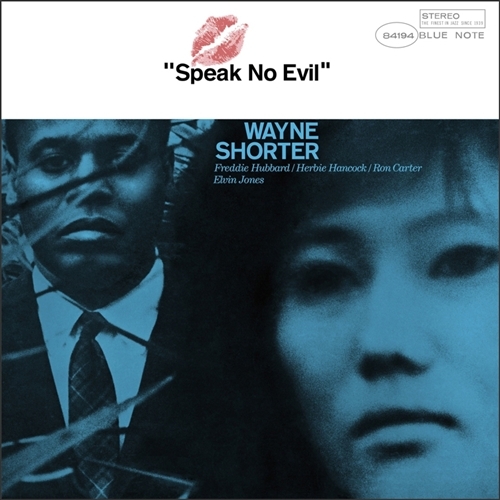 Speak No Evil is even notable than those two gems, for Shorter had developed into not only one of the most original tenor-saxophonists of the 1960?s but also one of its most vital composers. With superb playing by Herbie Hancock, Ron Carter, Freddie Hubbard and Elvin Jones, Shorter introduces six unique compositions including "Fee-Fi-Fo-Fum," "Speak No Evil" and "Infant Eyes." Hubbard and Hancock consistently raise the temperature with fiery solos. Shorter's playing and writing are both beyond description, utilizing a logic all his own which, over time, has become a major influence in Modern Jazz. Throughout "Speak No Evil," Shorter creates brilliant new music like no one else.